For children entering kindergarten 5 years old (before Sept 1st) through 5th grade. Help support VBS by donating funds or snacks! 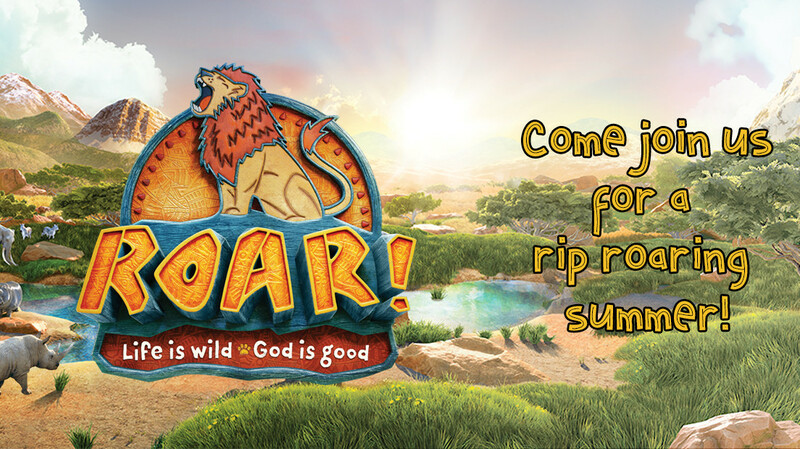 Sign up to bring snacks for VBS! Come join us for a rip roaring summer! Kids will learn that when life is wild God is good. Vacation Bible School transforms church into the mane event of the summer. When life is unfair...God is good! When life is scary...God is good! When life changes...God is good! When life is sad...God is good! When life is good...God is good! KIDS AND PARENTS LOVE VBS AT UBC! Come join the fun!